Hair accessories from PrettyCool are always a great place to find that extra finishing touch to your look to make you feel fab. 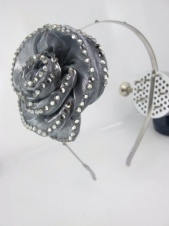 Hair flowers are again very trendy and maybe a extra sparkle for your hair to show you are a party girl. All our products include postage and if you require it earlier you can select next day delivery at extra cost.